Say goodbye to traditional long boards and power your devices the stylish way with the Safemore VPS Original Power Stacker. 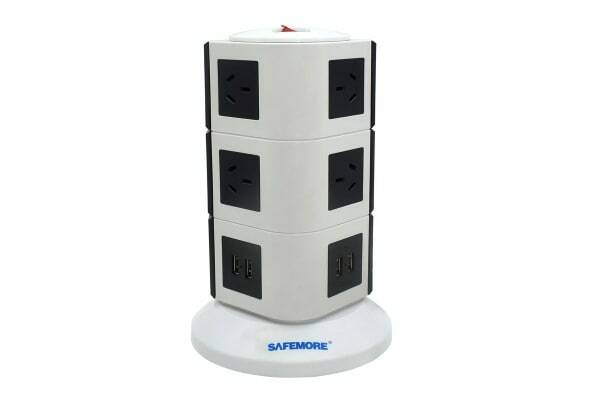 The Safemore VPS Original Power Stacker solves all your charging problems as it comes with 10 standard power outlets and 4 USB ports to power up all your devices simultaneously. All you need is your charging cable to power up digital devices, like cell phones, tablets, cameras and more using its USB ports. 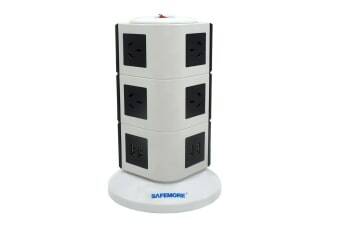 The Safemore VPS Original Power Stacker features a colourful design, which makes it an attractive addition to home and office. Made from fire-retardant ABS, it is safe to use and durable too. It comes with a two-metre pure copper cable and two double-pole switches. The overload protector offers improved protection from voltage surges.